Florida experiences another CBD setback, Ohio’s marijuana measure could result in a stagnant year for legalization, and two more companies issue edibles recalls in Colorado. Florida missed its October goal of selecting five companies to grow cannabis, process it into CBD-heavy medicines and sell them via dispensaries, creating yet another setback for an oft-delayed program. Now, some observers say the state might not make a decision until Thanksgiving at the earliest, meaning there’s almost no chance that Florida will actually have cannabis-based medicine available to patients by its Jan. 1 goal. So applicants are still stuck playing the waiting game. But there could be a silver lining. Under Florida’s current CBD law, passed by the state legislature about 16 months ago, nurseries that receive a license will face initial licensing and startup costs of between $7 million and $10 million, estimated Jeff Sharkey, president of the Medical Marijuana Business Association of Florida. Qualifying conditions, however, are limited to epilepsy and cancer, which translates into a small patient population in the state of 20,000 people, tops. With so few patients, it will be difficult for companies to win licenses to recoup their startup costs. “There’s nobody among the applicants who believes that under the current regulations it’s going to be possible to financially survive,” Sharkey said. With that as the backdrop, applicants for CBD licenses all expect that either the Florida Legislature or voters will approve a much broader medical marijuana law in 2016. In such a scenario, companies that win the CBD licenses could potentially have an easy transition to growing conventional marijuana – and be poised to tap a much larger market. Long story short, if the state takes a while to award CBD licenses – and therefore it takes companies longer to get up and running – businesses might cut some of their losses as they bide their time until Florida passes a broader MMJ bill. When news hit this week that Colorado’s pesky pesticide problems led to two more recalls, the state’s marijuana industry slapped its forehead in frustration. Still, he admitted that it’s difficult to predict because pesticide crackdowns only began in the spring in Denver, and the most recent recall was tied to cannabis trim that was purchased in February and April. Given that Denver and the Colorado Department of Agriculture have slowly developed pesticide rules over the course of 2015, there could be outstanding contaminated product still on the market. There’s also not a ton of clarity for commercial growers, as the Environmental Protection Agency still hasn’t clarified whether any particular pesticides are cleared for use on marijuana. “Unless one is constantly paying attention to policy, it can be confusing,” he said. In the meantime, infused product manufacturers such as Gaia’s Garden – which recalled roughly 8,000 products – have begun changing their business practices. Now, the company requires growers to provide testing results that prove their cannabis is pesticide-free, said owner Eric White. Ohio voted down a controversial ballot initiative to legalize medical and recreational cannabis on Tuesday. It probably won’t slow the industry’s momentum next year, as the failure of Ohio’s bill was likely due to its controversial structure rather than opposition to marijuana in general among voters. But it could mean 2015 will go down as the first year since 2009 that no state has legalized medical or recreational marijuana. Granted, there’s been plenty to celebrate this year. Hawaii, which legalized medical marijuana long ago, finally paved the way for dispensaries, and MMJ businesses have opened in several states. But after Ohio’s defeat, there’s only one last hope for a major legalization victory this year: Pennsylvania. Insiders believe that lawmakers still may reach a deal on a MMJ bill that’s similar to New York, meaning the state would limit the number of business licenses and prohibit smokable cannabis. Unfortunately, Pennsylvania Gov. 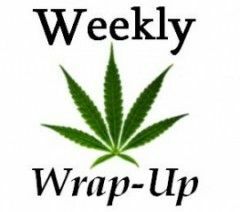 Tom Wolf has been on record for months as eager to legalize MMJ, and negotiations have been ongoing for most of the year. So the chances seem slim, though it’s not an impossible feat. Still, the industry may very well see one of its biggest years in history in 2016. California, Nevada, Massachusetts, Michigan, Maine and Arizona are all expected to vote on rec, and Florida may join the MMJ fold. There are also campaigns underway in several more states on behalf of both MMJ and rec, and state legislatures might even push through legalization measures. If even a few of those succeed, it could give the cannabis industry a boost that no other single year ever has. Florida should because alot of people that can’t handle the cold but have major medical problems and don’t want to take pharmacy meds shouldn’t have to move to a medical cannabis state just to get what’s going to help them. Florida should help there people!!!! I live with a rare brain disorder that has damaged my nervous system and the cold hurts me. Please help us Florida.